Play Ukulele Now: The Perfect Gift! Get your Play Ukulele NOW Coffee mug! The Perfect Gift! Get your Play Ukulele NOW Coffee mug! Get your Play Ukulele NOW Coffee mug! Make a unique personalized coffee mug online at Zazzle. There's no better way to drink coffee! Enjoy your coffee the Play Ukulele NOW way with this fabulous mug. A percentage of the proceeds goes to the development of more great methods! You'll feel great knowing you contributed to ukulele education every time you enjoy a cup of coffee. Don't do these 5 things! I'll show you all of the tweaks you need to make so you sound better and play better! 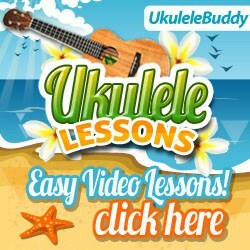 VIDEO: Easy fingerstyle ukulele for beginners - Play two songs! Don't Squeeze the Juice out of your uke... Avoid these three mistakes! Play Ukulele NOW T Shirts! The Perfect Gift! copyright 2009 - 2018 Borst Publications. Powered by Blogger.